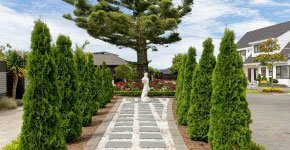 Set in a delightful country setting in Pukekohe, we offer the convenience of being less than 30 minutes from Auckland International Airport. We pride ourselves on our true NZ hospitality; a warm, friendly and relaxing environment with more than enough space for everyone. Enjoy every home comfort with a touch of elegance. 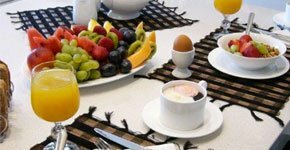 Dine in style and enjoy a wonderful continental breakfast. Relax in our lovely garden setting. You won’t want to leave! 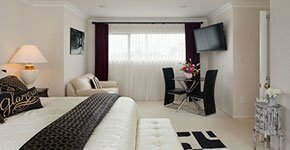 At first we saw and envied the beautiful house with beautiful bedrooms. Then we met the beautiful and gentle hostess with her whole family, a location we will never forget. What a fantastic place to stay and Evie and Warren are warm genuine lovely hosts of international standards. I have stayed in many international hotels around the world and your B&B is equal to any of them.